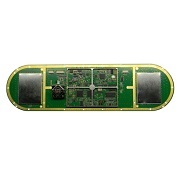 Hemisphere GPS’s H102 GPS Compass OEM Board is designed to provide easy integration, versatile communication, and professional-level performance. Company’s built-in technology Crescent Vector II delivers the accurate heading/positioning information required. It also provides roll, pitch, and heave data. The OEM board includes a tilt sensors, single-axis gyroscope, CANBUS communications processor, two GPS antennas, and a power supply. The two antennas are easily integrated into an application. They deliver 0.75 degree heading and 1.0 meter position precision while stationary or mobile. The sensor for gyro and tilt enhances system performance and backs up heading data if the GPS signal is suddenly lost. Stability and accuracy are elevated by Crescent Vector II technology, which measures code phase more accurately and improves multipath mitigation. 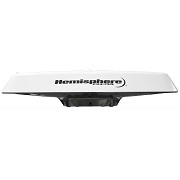 The H102 OEM board from Hemisphere can be ordered through Blue Planet Geomatics. Please feel free to send us your inquiry using the Request Pricing form if you would like to know more about this OEM board.